First of all we would like to say welcome to our new home of our blog. All old and upcoming blog posts are now directly on our website. So if you want to find anything from before then please have a look around. Last month we released a brand new update for the iPhone version. 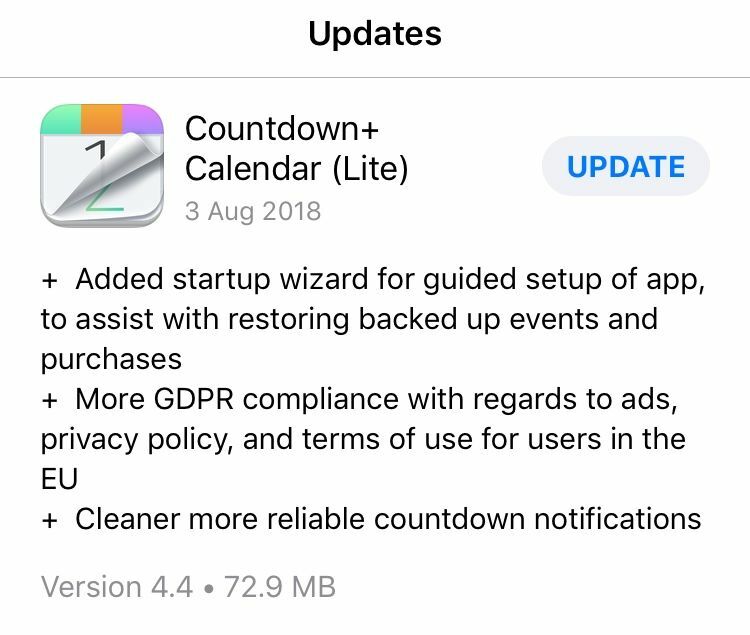 If you are a new user of our app, the onboarding wizard has been introduced. You might have noticed this as well if you are already a customer of our app. Signing up is a lot easier and also restoring purchases has never been simpler. Simply follow the onboarding wizard which will guide you through the process. We took on board a lot of queries about how restoring purchases was not so easy to find neither was it seamless. Please let us know what you think of the new onboarding wizard via Facebook or Twitter. 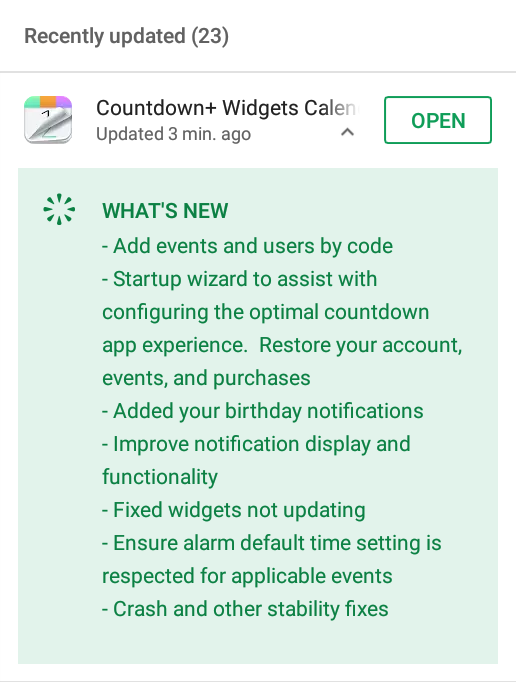 This month we worked on an Android update which fixed a few issues with the app and we also added a new feature. Event Codes were such a big success on the iPhone version that the requests started coming in for it to be available on the Android version. Recently as of just last week we finally added Event Codes to the Android version. If you haven’t used our Event Codes before then let us simply explain what they can do. 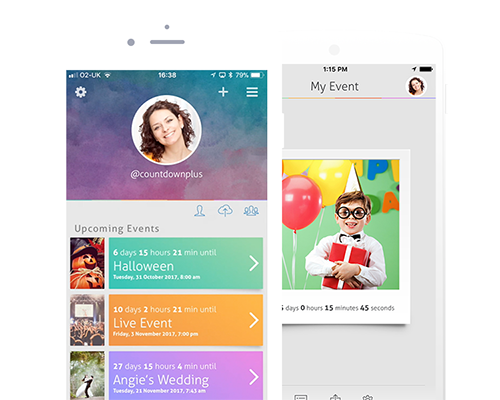 They are a simple way to share events with friends and family that use the app. So, you all stay updated about the same event together. Here is a link to a tutorial on our Facebook Page. Check the image below to see what else was added to the Android version. We also added the same onboarding wizard from the iPhone version to the Android app as well. This should help ease the first use of our app. We aim to keep this app running as smoothly as possible with fortnightly updates for both Andorid and iPhone. If you do come across any issues or need some help with the app then don’t hesitate to message us on Facebook.